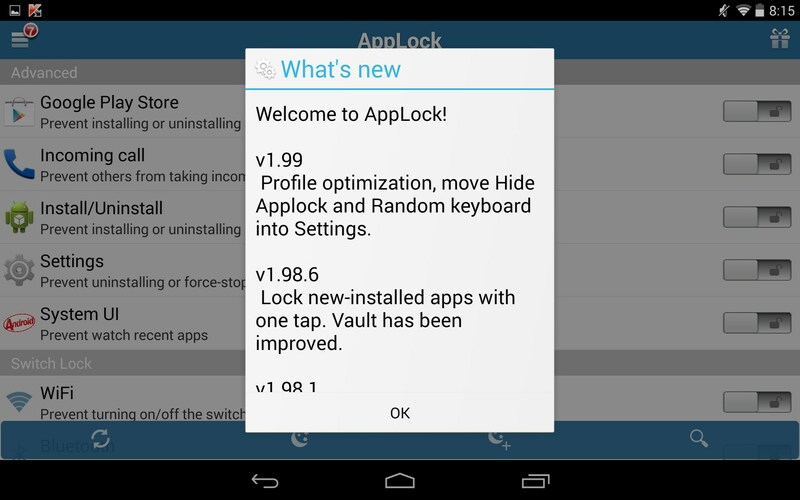 APP Lock – Soft for Android 2018 – Free download. 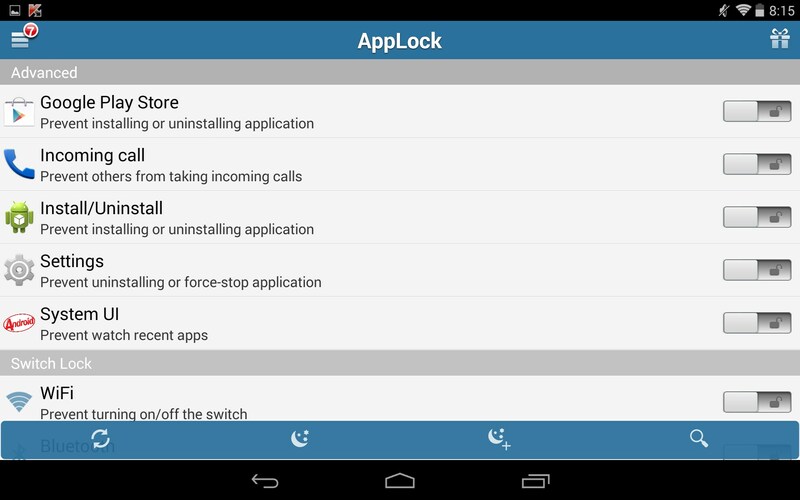 APP Lock – A virtual padlock for your entire phone, or just specific apps. 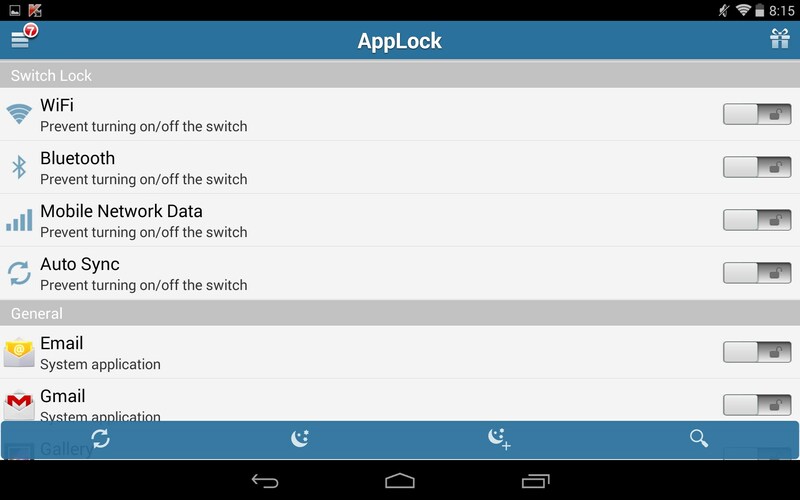 APP Lock for Android adds a layer of security and privacy from prying eyes. 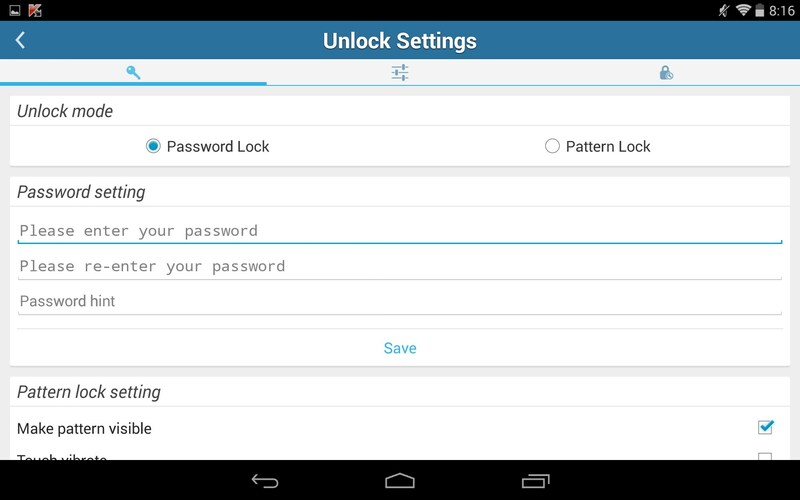 Lock any app from being used or changed without your knowledge. 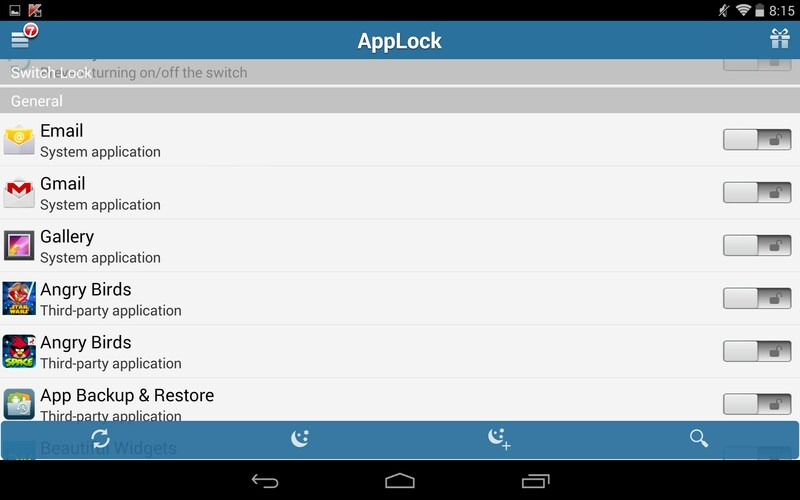 APP Lock is a nicely functioning security app. This would be great for parents who want to make sure their kids aren't messing with their phone or downloading games without permission. 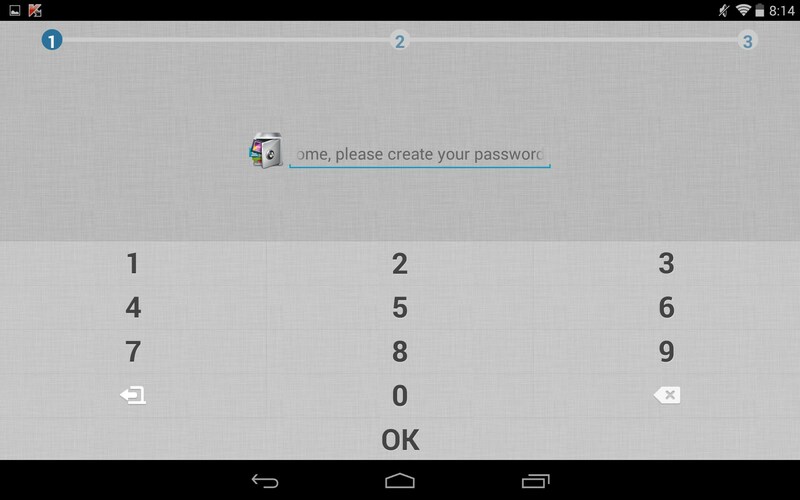 Just set a numerical pass code and select which specific apps you want APP Lock to monitor and secure. The interface is very clean and user friendly. 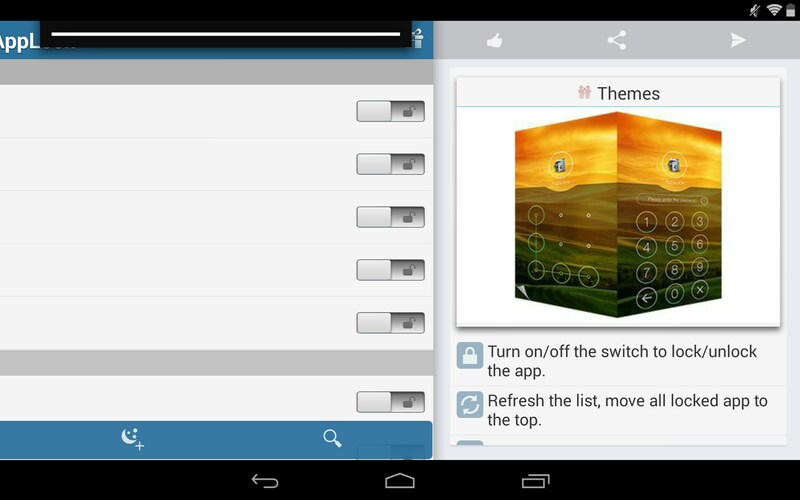 Just tap icons to the specific apps you want to control, or set universal parameters for your entire device. 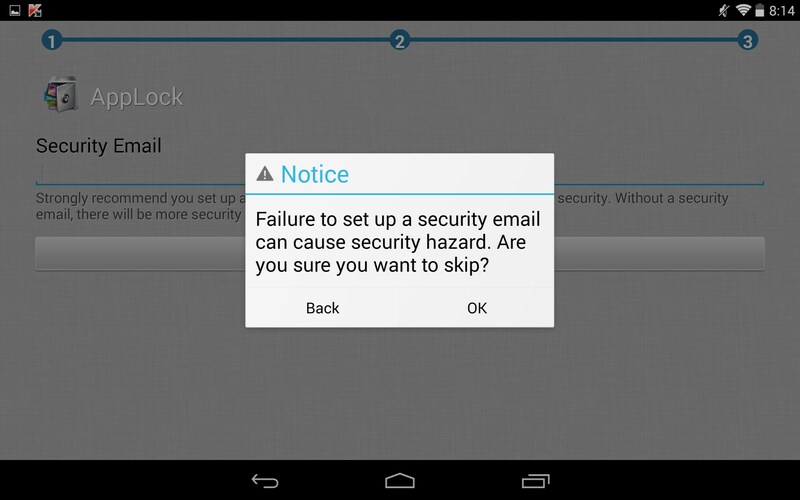 *Safety Tip* Be sure to set a recovery email address. 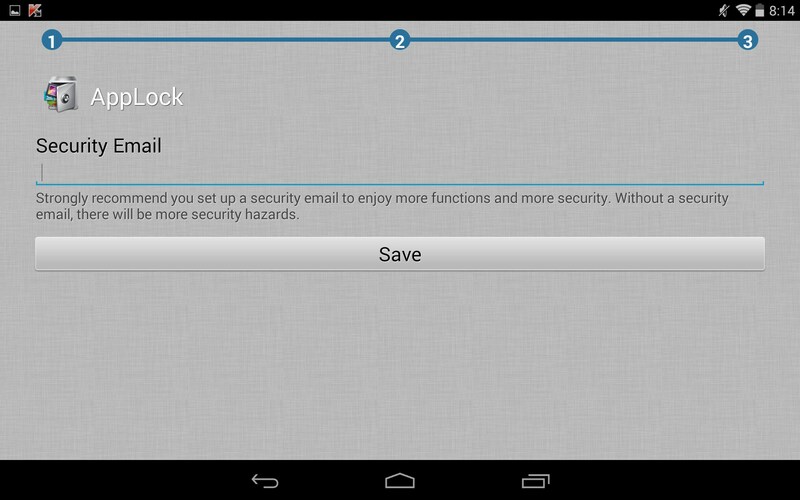 That way, if you ever forget your pass code, APP Lock can email it to you so you can unlock your device! I love the flexibility of this app. Setting specific rules for specific apps is very easy and user friendly. And the lock screen feature should keep nosy co-workers or suspicious lovers from poking around where they don’t belong. You can also lock down your photo gallery, so if you have some embarrassing photos of that wild night you had, no one else can see them ‘by accident’ if they happen to borrow your phone. I also love the location lock; just set it to automatically lock your phone at specific locales, like work, or your mother in-law’s house. ;) You can also set custom backgrounds to your lock screen to give them that personal touch. 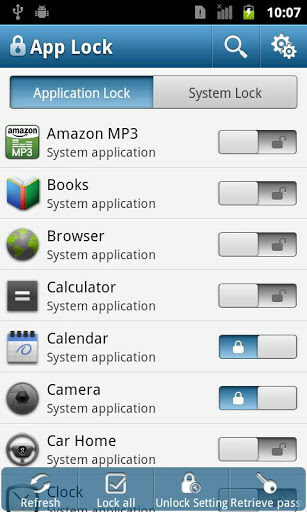 APP Lock has a host of advanced features available only on the paid version. The basic version will give you a good idea what this app can do, and offer basic security, but has ads. 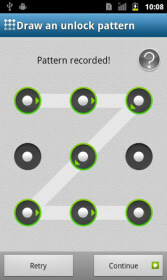 Overall, I think this is a great app and adds a layer of privacy to your personal device. Loaded on Kindle Fire but it is still allowing apps/folders to open. Suggestions? Can you be more specific about what issues you're having? 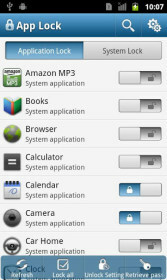 how to lock the app in moto am. i tried lock the app but is not working can you please helpme out. could not uninstall fro samsung galaxy ace3. help me. I received moto g 3 from flipkart but the app lock which is preinstalled doesn't work....what could be the teaon??? what happens when you try running app lock? You could perhaps try to reinstall it? I locked it and after some time apps lock leave working and automatically again apps become unhide...why this problwm is occuring...how i can solve it....i have huawai 4c....any body can help me? my applock hid from setting how i show again kindly guide me. It all depends on what backup service you use and what it backs up. If you use Google's proprietary service and choose to back up photos, they are restored after logging in and selecting the restore backup option. Sorry to hear you are having trouble. This issue occurs more than you can believe. Please try the following things: when prompted to input the password there should be a "Forgot" or "?" button. Tapping on that should guide you towards resetting the password, IF you or your son know either the security question or security email address inputted when it was set up. 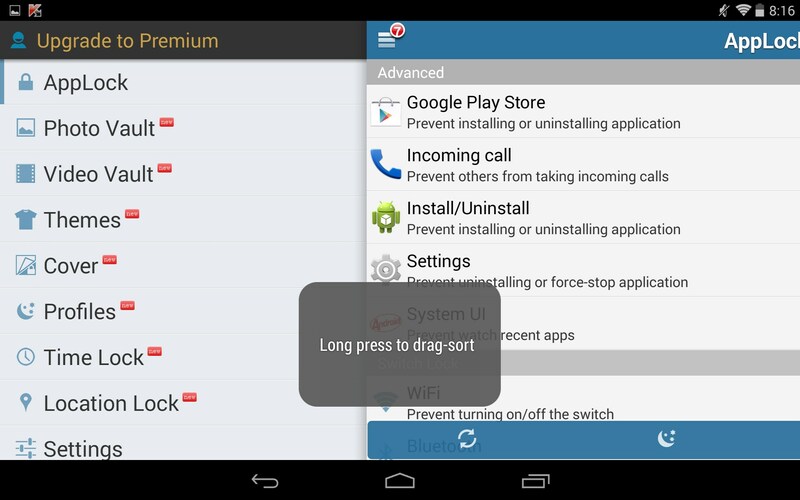 Alternatively you can attempt to uninstall the app from the Applications Manager on your device. This should work, as long as the Advanced Protection feature was not activated. Let me know if the issue is solved or if you require more assistance. The latest release causes my XT890 to reboot frequently after wake up from standby. Now I removed the app my phone is much more responsive and has no reboots anymore! What exactly is the issue you are encountering? Please try to provide as many details in order to receive proper assistance. There are a few ways to solve this. 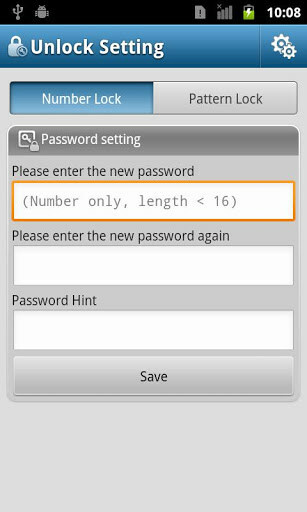 When prompted to input the password (if you are using a pattern, switch it to the password) tap on the "Forgot" or the "?" button, this should guide you through the password reset, provided you remember your secret answer or your security email. 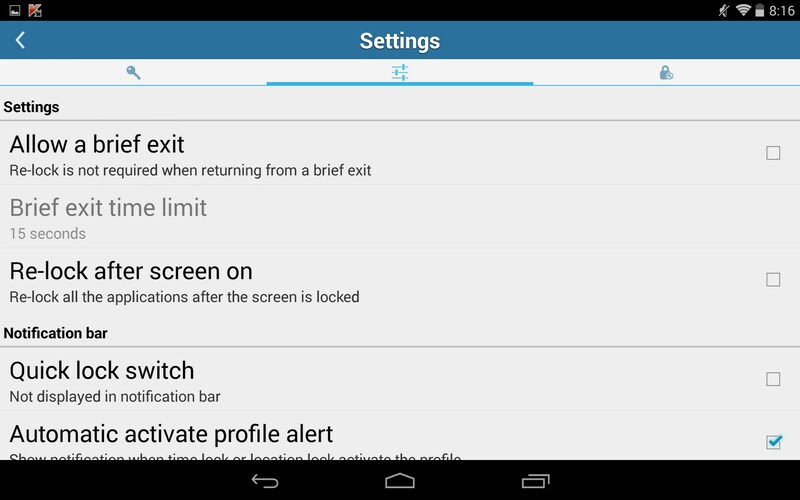 Alternatively you can attempt to uninstall the app from the Applications Manager, again provided the Advanced Protection setting was not activated. Please let me know if you are able to solve the issue or require more assistance.